So, I was really looking forward to this week's theme, but my children have been completely uninterested. We didn't do a lot of schooling. I hurt my back last week and was in a lot of pain. The kids watched a lot of movies. I think they may have watched Toy Story 2, twice. I did try to do a bit of life cycle work with the kids, but I was in too much pain. I went to the doctor while the kids stayed with a babysitter. Afterwards, they had naps and I did crafts in front of a movie. They also played outside a lot in the sunshine. Socialization day for the kids. Home again for naps and a bit of rambunctious play for the rest of the day. We spent some time in our yard today looking at the types of mosses that grow on our trees. 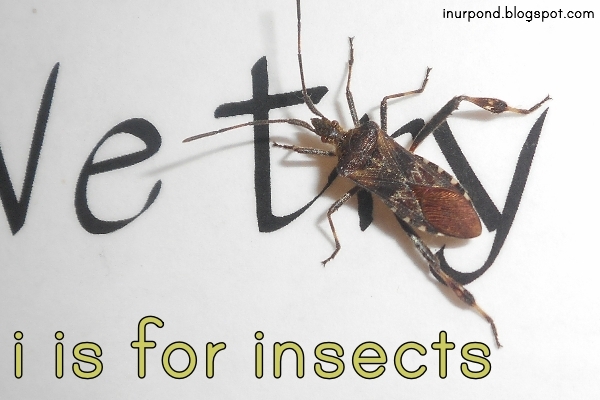 We finally got to some insect-themed work today! 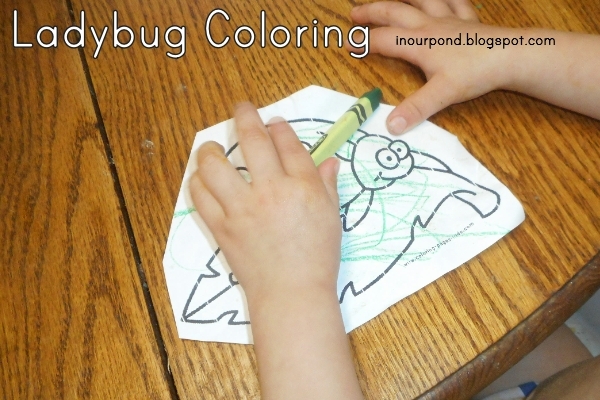 Dragonfly colored a ladybug and the parts of the life cycle. After she finished, we put it in her science notebook. 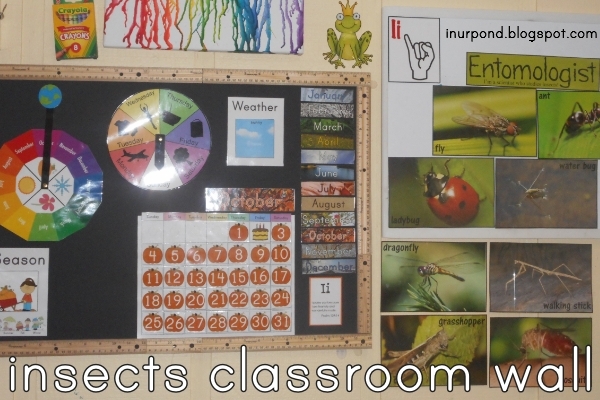 Skimmer's science notebook activity was a simple coloring page. 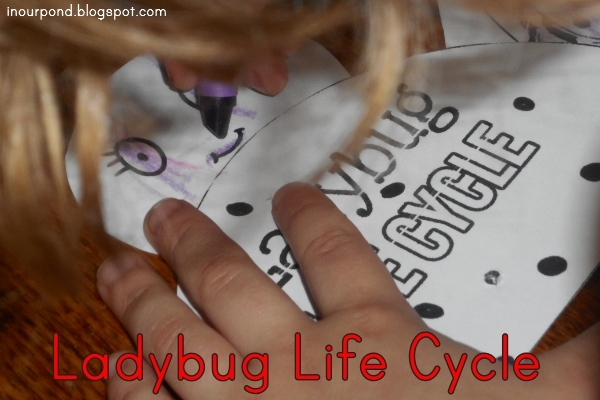 All three kids took turns with this ladybug life cycle sensory bin. The figurines are Insect Lore and the substrate is sunflower seeds. 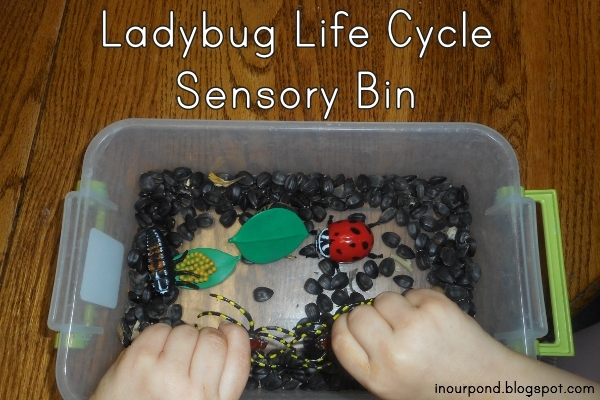 The kids also took turns with this "bug" sensory bin. The bugs came from the craft store many years ago (but are not Safari brand). Skimmer concentrated hard on this work- poking the sunflower seeds into the hole. Even though he was able to do the activity, he got frustrated easily with the difficulty of it. 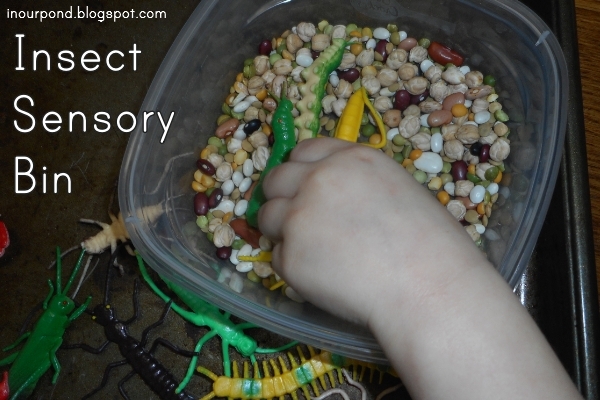 Dragonfly played with this sensory bin for a long time (almost an hour). 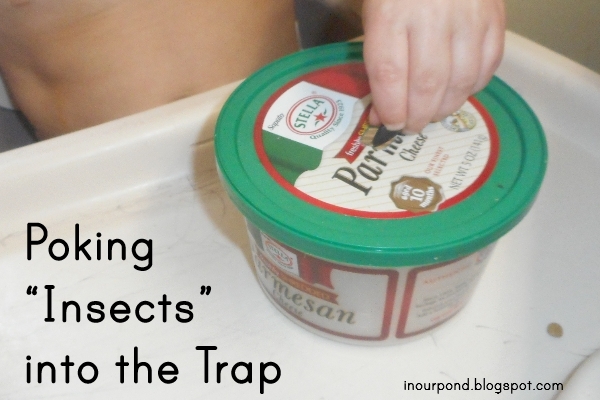 She used the bugs for pretend play, which is very rare for her. She's usually very logical about her play and will interrupt herself to state the reality of the situation. This time, I sat next to her and read a novel to myself for most of her play time. Every once in a while, I would interrupt her and comment, "I like hearing your story" or "It's ok to pretend." It seems like that was the support she needed to break into pretend play.